Thank you for your interest in ECONSTEEL. We have designed our website with our customer’s interests in mind. We strived to make it easy to attain the information you need to make a steel purchase decision. We also encourage you to call our ECONSTEEL consultants. You will find our staff a helpful and knowledgeable resource you can rely on. Rounds, Flats, Squares, Strips and Hexes (hexes in cold finished only) depending on application. In general Hot Rolled Steel is the softest and easiest steel to work, followed by Cold Finished and Alloy in degrees of hardness and workability. The stock length for bars is 20’ however ECON can saw or cut your order to size if required before delivery. Steel Bar quality is defined by straightness and roundness of the bar as-well-as the smoothness of the surface. ECON’s century long experience assures the quality for your application at a very competitive price. The dimensions range from as small as 3/16th up to 12 inches diameter depending on shape, type and grade of steel. medium/high carbon alloy, and abrasion resistant plates. Our plates range in thickness from 3/16” to 10” with widths from 4’ to 10’ and lengths from 9’ to 20’ depending on the type. ECON stocks hot rolled sheets in 10, 11, 12, 14 and 16 gage in widths from 3’ to 6’ and lengths from 8’ to 10’ depending on type. 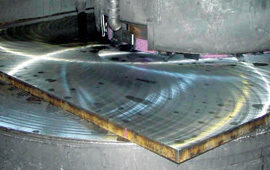 ECON offers full plate and sheet processing services including: Plasma cutting to a tolerance of .015”, Flame Cutting, Shearing and Blanchard Surface Grinding. We can also pickle and oil plate and sheet per your specification. Be sure to add steel processing services to your order or talk to an ECONSTEEL consultant today to discuss the possibilities. with a first-hand understanding of our customer’s structural steel needs. We stock a full array of structural steel products and our Steel Processing capabilities will provide the services you need for every application. Count on ECON for cutting and forming to your exact specifications. Be sure to add our steel processing services to your order. Ask your ECON Steel Consultant about our Supply Chain Services for Just in Time delivery on-site. primarily for construction (such as automobile and truck frames, shelving supports, machinery construction). ECONSTEEL stocks round, square and rectangular structural tubes. Tubes are primarily defined by OD outside diameter and wall thickness. Pipe is used exclusively for transferring material & fluids. ECON Steel stocks steel, black and galvanized pipe. used for turning, forming and drilling metal end-products. It is normally heat treated to attain the strength and hardness qualities needed for specific applications. ECONSTEEL supplies two types of Tool Steel: Drill Rod and Flat Ground steel. our more popular products. With an inventory that stretches back 100 years, chances are we have the steel you have in mind. If you have not found what you are looking for on our website please do not hesitate to call your ECON Steel consultant. If we do not have it in our extensive inventory your ECON Steel consultant can leverage our buying power with Steel producers around the world to find even the toughest to locate product for your unique application. Consultant to determine which cutting capability will be best for your application, OR be sure to provide your cutting specifications when using our on-line ordering system. overall cost. ECONSTEEL will also cut to precise “end-use” lengths as custom orders require. service will expedite your order and provide “to-your-door” delivery with our delivery trucks within 24-hours of your order anywhere within our primary service area. Be sure to ask your ECON Steel Consultant about this premium service. up to a diameter of 90”. Ask your ECONSTEEL Consultant about our grinding service and be sure to include your grinding specifications in our online quoting page. steel of specific hardness be sure to discuss our heat treating services with your ECONSTEEL Consultant. We will convert our base product to achieve your specific needs within your budget and timeframe. on-site construction projects. Our experience ensures rebar is constructed to-spec and delivered when needed. ECONSTEEL will even warehouse your pre-formed rebar components. Our extensive delivery fleet enables just-in-time delivery to the construction site when needed minimizing on-site storage issues during construction. and machining to road and building construction. ECONSTEEL even did its part during WWII as a ship-builder. Our experience providing steel across diverse industry categories enables us to define solutions that provide better options for customers. When it comes to defining value experience matters. quantity of steel they need when they need it entails much more. Our industry experience and inventory management and supply chain capabilities enable us to anticipate our customer’s needs. Our long-term relationship with steel mills provides access to even the toughest to find product. with direct access to East/West and North/South interstates enables one-day delivery throughout, Western New York, Western, Pennsylvania and eastern Ohio. For customers with Just-in-Time operational models, our ECONSTEEL Consultants are valued resources, ensuring production lines have a continuous supply of the steel they need. It starts with being available when our customers need us for whatever they need us for. It means always getting a person on the other end of the phone. It means answering emails and getting back with answers---quickly. ECON is recognized for being responsive to customer needs and that is what you can expect from the first order to your latest. True value is found when customers find the steel they need in a form that meets their production and price expectations. ECON specializes in just that. We offer a variety of steel processing services that provide exceptional value for our customers. Our services include: Cutting, Sawing, Forming, Grinding, Heat Treating, Rebar Fabrication. delivered when they need it. Our 100 years’ experience supplying steel for construction, machine & tool, fabrication and maintenance aligns our capabilities with the needs and requirements of each industry. Our Capabilities include: Supply Chain Management, Specification Consultation Truck Fleet Delivery & Warehousing. Strategically located facilities in Erie, Pennsylvania and Warren, Ohio provide easy access to north/south and east/west interstates ensuring expedient delivery for ECON customers throughout the primary service area. Erie, Pennsylvania. Our corporate office is located at 1301 Cranberry Street in Erie, Pennsylvania (Zip Code 16501). The location is midway between the Cleveland, Ohio and Buffalo, New York markets. The main warehouse services customers along the I-90, I-79 and I-86 corridors. With access to an International Great Lakes port on Lake Erie and rail-lines the Erie location is well suited to facilitate both import and export of special orders. Warren, Ohio. Our eastern Ohio warehouse is located at 490 North River Road, in Warren, Ohio (Zip Code 44483). The location convenient access to I-11, I-80, and I-76 making quick order facilitation possible throughout eastern Ohio, and southwestern Pennsylvania. ECONSTEEL stocks Hot Rolled, Cold Finished, and Alloy Bars. Steel Bars are long products that are formed in a variety of shapes such as in Rounds, Flats, Squares, Strips and Hexes (hexes in cold finished only) depending on application. In general Hot Rolled Steel is the softest and easiest steel to work, followed by Cold Finished and Alloy in degrees of hardness and workability. The stock length for bars is 20’ however ECONSTEEL can saw or cut your order to size if required before delivery. Steel Bar quality is defined by straightness and roundness of the bar as-well-as the smoothness of the surface. ECON’s century long experience assures the quality for your application at a very competitive price. The dimensions range from as small as 3/16th up to 12 inches diameter depending on shape, type and grade of steel. Rounds, Flats, Squares, Strips and Hexes (hexes in cold finished only) depending on application. In general Hot Rolled Steel is the softest and easiest steel to work, followed by Cold Finished and Alloy in degrees of hardness and workability. The stock length for bars is 20’ however ECONSTEEL can saw or cut your order to size if required before delivery. Steel Bar quality is defined by straightness and roundness of the bar as-well-as the smoothness of the surface. ECONSTEEL’s century long experience assures the quality for your application at a very competitive price. The dimensions range from as small as 3/16th up to 12 inches diameter depending on shape, type and grade of steel. Hot rolled steel is softer, more flexible and easier to form. Hot Rolled products are rolled to final dimensions while still at a temperatures around 1,700 degrees or hotter. Hot Rolled products are not as exact because final shape and size is dependent on the cooling process to define the final dimensions and how perfectly round or square the product is. For this reason, Hot Rolled steel is typically used in “rougher” applications where finish is not an issue. Hot Rolled Rounds come in a variety of diameters from 3/16ths to 12”. Round Bars are most commonly used in rotation applications to drive machinery. Drive-shafts, Axles, Pulleys, Gearing, Drilling Equipment and Flywheels are typical examples. Steel Bar quality is defined by straightness and roundness of the bar as-well-as the smoothness of the surface. ECON’s century long experience assures the quality for your application at a very competitive price. Hot Rolled Flats can be purchased in dimensions as small as ¼ X 3/8ths of an inch up to 3” X 6” depending on the type of steel your application requires. Depending on the type and grade of steel flat bars can be used in machined applications and a myriad of fabrication applications. Be sure to include our sawing services to take delivery on the blank sizes you need. Hot rolled squares can be purchased in dimensions as small as 3/8th inch to 6” square and 20’ lengths depending on application. Applications include: shafts, axels, bracing and an infinite array of fabrication and industrial maintenance applications. Be sure to include our sawing services to take delivery on the blank sizes you need. Hot Rolled Strips can be purchased in dimensions as small as 1/8” X ½” and as large as 3/16” X 9” and 20’ lengths depending on application. Applications include: forming for bracing and mounting applications and an infinite array of fabrication and industrial maintenance applications. Be sure to include our sawing services to take delivery on the blank sizes you need. 1010/A-36/1018: This grade is a great choice for fabrication applications. The material has great bending/cold forming and welding attributes. A-36 is considered a special bar quality material known for excellent mechanical properties. Applications include vehicle use for, shafts, axles. and gearing. 1117: 1117 offers better machining than 1018. It has a strong ductile core and hardness factors that are uniform and deep. 1040/1045: A medium carbon steel. It is commonly good for shafting. Welding properties are fair. Not commonly used for machining. 1141/1444: A medium carbon that responds well to heat treating to attain precise hardness. Great where high strength and wear resistance is required. The material machines very well and features a more uniform and deeper surface hardness that compares favorably to regular carbon steel. The steel works very well for high production machines. Cold Finished Round Bars can be purchased in dimensions as small as 1/8” round and as large as 7 ½”. Stock lengths are10/12’ and 20/24’. ECONSTEEL can size your order to spec. Be sure to indicate whether you would like a quote on our sawing and cutting services to take delivery on the blank sizes you need. Application. Anywhere closer tolerances are desired in a solid long round configuration with a smooth, hard finish and a painted surface is desired for the finished product. Cold Finished Square Bars can be purchased in dimensions as small as 1/8” and as large as 6” Square. Standard length is 10/12’. ECONSTEEL can size your order to spec. Be sure to indicate whether you would like a quote on our sawing and cutting services to take delivery on the blank sizes you need. Application. Keystock and anywhere closer tolerances are desired in a solid long square configuration with a smooth, hard finish and a painted surface is desired for the finished product. 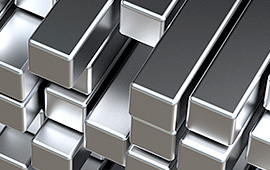 Cold Finished Flat Bars can be purchased in dimensions as small as 1/8” X 1/4 and as large as ½” X 12”. Standard length is 10/12’. ECONSTEEL can size your order to spec. Be sure to indicate whether you would like a quote on our sawing and cutting services to take delivery on the blank sizes you need. Application. Keystock and anywhere closer tolerances are desired in a solid long flat configuration with a smooth, hard finish and a painted surface is desired for the finished product. Cold Finished Hex Bars can be purchased in dimensions as small as 9/32” and as large as 3”. Standard length is 10/12’. ECONSTEEL can size your order to spec. Be sure to indicate whether you would like a quote on our sawing and cutting services to get the blank sizes you need to get started. Application. Application. Anywhere closer tolerances are desired in a solid long hex configuration with a smooth, hard finish and a painted surface is desired for the finished product. 1018: A very common grade that Is easily machined, welded and formed. Great for fabrication. It is a general purpose steel. Especially suited for cold forming applications such as swaging and bending. C1018/A – 108 Has a smooth finish and strong machinability properties. It has good case hardening qualities and is a good general purpose steel. Very good for bending and cold forming. C1018 Has a smooth finish and strong machinability properties. It has good case hardening qualities and is a good general purpose steel. Very good for bending and cold forming. 1045 A medium carbon steel. It is commonly good for shafting. Welding properties are fair. Not commonly used for machining. C- 1018: Has a smooth finish and strong machinability properties. It has good case hardening qualities and is a good general purpose steel. Very good for bending and cold forming. 1117 Offers better machinability. Hardening is uniform and deep. Easy to work. Application. Typical applications include: shafts and gears, levers, springs, piston pins, connecting rods, frames, buildings, ships. Tool Steel applications include: cutting and forming implements, drill bits, reamers, threading tools, milling blades, punches, molds. Alloy Steel Bars: Rounds can be purchased in dimensions as small as (2-7/8”) and as large as (12”). Standard length is 10/12’. ECONSTEEL can size your order to spec. Be sure to indicate whether you would like a quote on our sawing and cutting services. Standard length is 20’. Remember, ECONSTEEL offers complete sawing services for cutting your steel bar purchases to specification. Be sure to add this steel processing service to your order to obtain the blank sizes you need. Application. 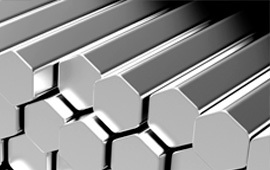 Alloy steel flats are typically used in high temperature applications where flat steel is preferred such as engine connecting rods. Other applications include leaf springs used in the automobile industry, agricultural and mining implements, fabrication and the manufacture of dies used in the machining industry. ECONSTEEL can size your order to spec. Be sure to indicate whether you would like a quote on our cutting and cutting services. Application. Keystock and anywhere closer tolerances are desired in a solid long square configuration and corrosion resistance, high heat resistance and/ or wear resistance is desired for the finished product. ECONSTEEL supplies fabrication, construction and manufacturing industries with structural steel, diamond floor plate, medium/high carbon alloy, and abrasion resistant plates. Our plates range in thickness from 3/16” to 10” with widths from 4’ to 10’ and lengths from 9’ to 20’ depending on the type. ECONSTEEL stocks hot rolled sheets in 10, 11, 12, 14 and 16 gage in widths from 3’ to 6’ and lengths from 8’ to 10’ depending on type. ECONSTEEL offers full plate and sheet processing services including: Plasma cutting to a tolerance of .015”, Flame Cutting, Shearing and Blanchard Surface Grinding. We can also pickle and oil plate and sheet per your specification. Be sure to add steel processing services to your order or talk to an ECONSTEEL consultant today to discuss the possibilities. medium/high carbon alloy, and abrasion resistant plates. Our plates range in thickness from 3/16” to 10” with widths from 4’ to 10’ and lengths from 9’ to 20’ depending on the type. ECONSTEEL stocks hot rolled sheets in 10, 11, 12, 14 and 16 gage in widths from 3’ to 6’ and lengths from 8’ to 10’ depending on type. ECONSTEEL offers full plate and sheet processing services including: Plasma cutting to a tolerance of .015”, Flame Cutting, Shearing and Blanchard Surface Grinding. We can also pickle and oil plate and sheet per your specification. Be sure to add steel processing services to your order or talk to an ECONSTEEL consultant today to discuss the possibilities. ECONSTEEL stocks Structural Steel Plate in thicknesses from 3/16” to 10”. Widths vary between 4’ to 8’ with lengths varying between 10’ and 20’depending on type. ECONSTEEL will plasma, flame-cut or shear to your exact specifications. Ask your ECONSTEEL Consultant about our supply chain management services for your Just in Time manufacturing or construction needs. Application. Bridge Construction, Trench Covers, Bulkheads. ECONSTEEL stocks Diamond Floor Plate in 14 gauge and 1/8”, 3/16”, ¼” 5/16” 3/8” ½” and ¾” in widths from 4’ to 8’ and lengths from 10 to 20’ depending on type. Diamond Floor plate is sometimes referred to as Tread Plate, Diamond Plate or Anti-Skid Plate. It is distinguished by raised pattern on its surface that forms a diamond shape to inhibit sliding when walking on the surface. ECONSTEEL will plasma cut, flame-cut or shear to your exact specifications. Application. Diamond floor plate provides enhanced traction and safety for human traffic. Typical applications include in-plant platform, and catwalks where weather and drainage is not a factor. Trailer and truck applications, stair treads and ramps. Medium High Carbon Alloy provides affordability, good welding properties, strength and impact resistance that is well suited for a variety of construction, and fabrication applications. ECONSTEEL stocks Medium High Carbon Alloy plate in thickness ranging from 3/16” to 10”. Widths range from 4’ to 8’ with lengths ranging from 9’ to 20’ depending on the type. ECONSTEEL will plasma, flame-cut or shear to your exact specifications. ECONSTEEL will plasma, flame-cut or shear to your exact specifications. Application. Medium/ High Carbon Steel plate is the product of choice for a wide variety of applications including the construction of railroad cars, trucks, cargo containers, fluid tanks, bridges and buildings. Other applications would include use in the machining/tool & die industry for jigs and fixtures. Abrasion Resistant steel is ideally suited for environments subjected to continuous impact and lateral surface contact for extended periods of time. 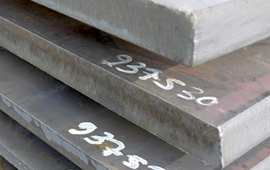 ECONSTEEL stocks Abrasion Resistant steel plate in thickness ranging from 3/16” to 10”. Widths range from 4’ to 8’ with lengths ranging from 9’ to 20’ depending on the type. ECONSTEEL will plasma, flame-cut or shear to your exact specifications. ECONSTEEL will plasma, flame-cut or shear to your exact specifications. Ask your ECONSTEEL Consultant about our supply chain management services for your Just in Time manufacturing or construction needs. Application. Typical applications would include dump truck bodies, excavation buckets, loader buckets, cultivators, mining, aggregate, concrete, crushers and agricultural applications. For over 100 years ECONSTEEL has been a supplier of structural steel products. Our bridge building and construction origin provides us with a first-hand understanding of our customer’s structural steel needs. We stock a full array of structural steel products and our Steel Processing capabilities will provide the services you need for every application. Count on ECONSTEEL for cutting and forming to your exact specifications. Be sure to add our steel processing services to your order. 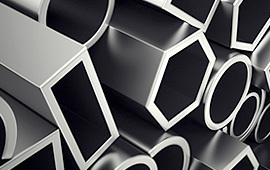 Ask your ECONSTEEL Consultant about our Supply Chain Services for Just in Time delivery on-site. with a first-hand understanding of our customer’s structural steel needs. We stock a full array of structural steel products and our Steel Processing capabilities will provide the services you need for every application. Count on ECONSTEEL for cutting and forming to your exact specifications. Be sure to add our steel processing services to your order. Ask your ECONSTEEL Consultant about our Supply Chain Services for Just in Time delivery on-site. ECONSTEEL stocks Structural I Beams, Junior Beams and Structural Wide Flange Beams. Structural Channel sizes range from C3 X 4.1 to C15 X 50. Count on ECONSTEEL processing services for cutting and forming to your exact specifications. Be sure to add our steel processing services to your order. Ask your ECONSTEEL Consultant about our Supply Chain Services for Just in Time delivery on-site. ECONSTEEL provides ST6 X 8 Structural Tees and has the capability to split tees from S & W I Beams to your order. S & W I Beams to your order. Stock Lengths are 20’, 30.40. and 60’. 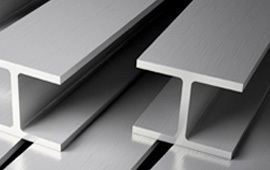 ECONSTEEL stocks structural angles from 6” X 31/2” to 8 X8” in thicknesses from 5/16” to 1”. Few Steel Supply companies understand concrete as-well-as ECONSTEEL (Erie Concrete & Steel. Our 100 year roots run deep into the concrete construction business. Today ECONSTEEL offers a full array of steel reinforcing screen, mesh and rebar to facilitate virtually any concrete construction requirement. Contractors rely on our rebar forming services and sawing services to expedite projects on-site. Be sure to add these services to your order or talk to an ECONSTEEL consultant today. 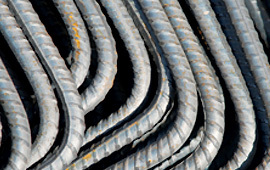 ECONSTEEL is your preferred resource for Rebar and Rebar Forming. Our extensive 100 year experience in concrete reinforcement ensures your construction projects run smoothly and efficiently. ECONSTEEL processing services will cut, bend and roll reinforcing bar to your order. We are a D.O.T certified supplier. ECON’s extensive experience in concrete construction ensures your Mesh and Screen concrete reinforcement needs are met with the best combination of in-stock product and services that will expedite every construction project. ECONSTEEL stocks welded reinforcing mesh and reinforcing screen in 5’ X 10’ sizes. Rely on ECONSTEEL processing services to cut or form your order to your exact specifications and deliver on-time, every time. The difference between pipes and tubes are often confused. One is for construction the other used to transfer material. Tubes are used primarily for construction (such as automobile and truck frames, shelving supports, machinery construction). ECONSTEEL stocks round, square and rectangular structural tubes. Tubes are primarily defined by OD outside diameter and wall thickness. Pipe is used exclusively for transferring material & fluids. ECONSTEEL stocks steel, black and galvanized pipe. primarily for construction (such as automobile and truck frames, shelving supports, machinery construction). ECONSTEEL stocks round, square and rectangular structural tubes. Tubes are primarily defined by OD outside diameter and wall thickness. Pipe is used exclusively for transferring material & fluids. ECONSTEEL stocks steel, black and galvanized pipe. Pipes are primarily defined by ID; inside diameter. ECONSTEEL stocks steel, black and galvanized pipe. Remember to include our Steel Processing services to save time. ECONSTEEL will cost effectively cut your order to your specification. Application. Pipes are primarily used to move fluids (such as water, chemicals, and petroleum) and gasses (such as propane, natural gas and chemical gases). Tubes are used primarily for construction (such as automobile and truck frames, shelving supports, machinery construction). ECONSTEEL stocks round, square and rectangular structural tubes. Tubes are primarily defined by OD outside diameter and wall thickness. Round Tubes are used primarily for construction (such as automobile and truck frames,) where the ability for the round configuration to be formed and bent is preferred over square or rectangular tubes. Tubes are primarily defined by OD outside diameter and wall thickness. Be sure to add ECONSTEEL Processing services to cut your order to spec. Application. Round tubing is typically used in situations requiring complex forming of the final product such as bicycle or motorcycle frames or complex sports and racing car frames where rigidity is required. Square Tubes are primarily used in applications where solid mounting of component parts on a flat surface or welding the final product into complex shapes is required. Application. Square tubing can be found in automotive and truck framing, shelving supports, and heavy machine construction. Rectangular tubes are primarily used in applications where solid mounting of component parts on a flat surface or welding the final product into complex shapes is required. Application. Rectangular tubing can be found in automotive and truck framing, shelving supports, and heavy machine construction. Tools steel withstands high temperature, high loads and other demanding conditions. Tool Steel is ideally suited for making tools used for turning, forming and drilling metal end-products. It is normally heat treated to attain the strength and hardness qualities needed for specific applications. ECONSTEEL supplies two types of Tool Steel: Drill Rod and Flat Ground steel. Commonly used for developing drills of various quenched or tempered to specific tolerances. Commonly used for developing turning bits, planner and other metal cutting tools. Many of our products cross over categories or have too many applications to be limited to one category. Here are a few of our more popular products. With an inventory that stretches back 100 years, chances are we have the steel you have in mind. If you have not found what you are looking for on our website please do not hesitate to call your ECONSTEEL consultant. If we do not have it in our extensive inventory your ECONSTEEL consultant can leverage our buying power with Steel producers around the world to find even the toughest to locate product for your unique application. our more popular products. With an inventory that stretches back 100 years, chances are we have the steel you have in mind. If you have not found what you are looking for on our website please do not hesitate to call your ECONSTEEL consultant. If we do not have it in our extensive inventory your ECONSTEEL consultant can leverage our buying power with Steel producers around the world to find even the toughest to locate product for your unique application. Also referred to as Welded Steel Bar Grate or simply Steel Bar Grate it is used for light vehicle transport and walkways. It is a very durable and strong alternative that provides improved traction in external or high use environments that may be subjected to spills or wetted surfaces. The safety of bar grating can be enhanced with a serrated edge option. In addition to steel grating ECONSTEEL can also source Fiberglass, Aluminum and Stainless grating to meet your specific application. Ask your ECONSTEEL Consultant about these options. ECONSTEEL provides bar grate in 24 and 36” widths in 20’ lengths. Strength is defined by height of the product which ranges from 1” to 2-1/4”. Rely on ECONSTEEL processing to cut and shape your bar grating to spec to expedite your installation on-site. 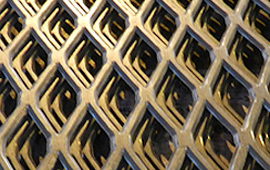 ECONSTEEL can also custom fabricate Heavy Grating for extreme applications. Application. Used where higher load capacities are required for walkways, ramps, platforms, stair treads, and flooring. Expanded Metal affords excellent traction and drainage properties for walkways and is a preferred choice as a safety barrier around moving machinery parts. Use of the material assists in weight savings and allows for passage of light Expanded metal is made by cutting slits in steel sheet then pulling the sides outward to establish diamond shaped gaps between the connecting strips. ECONSTEEL stocks a wide variety of Expanded Metal types and sizes depending on application. Refer to our e-ordering pages and the Learning & Resources Center to identify the product that best fits your specific application or call our ECONSTEEL Consultants for assistance. Application. Safety guards on machinery, flooring, walkways, shelving, security covers and screening of materials. This option is best where strength and rigidity are important. It provides an excellent skid resistant surface. ECONSTEEL stocks Standard Expanded Metal in Carbon Steel, Stainless and Aluminum. ECONSTEEL processing services can cut and shape your order to your unique specification to expedite installation on-site. Be sure to add these services to your order or contact your ECONSTEEL consultant to learn more. Flattened Expanded Metal is produced by cold roll reducing standard expanded metal which turns the strands and bonds down to provide a wider/flattened surface which elongates the pattern and reduces the thickness of the sheet. ECONSTEEL provides Flattened Expanded Metal in Carbon Steel, Stainless and Aluminum. ECONSTEEL processing services can cut and shape your order to your unique specification to expedite installation on-site. Be sure to add these services to your order or contact your ECONSTEEL consultant to learn more. ECONSTEEL processing services can cut and shape your order to your unique specification to expedite installation on-site. Be sure to add these services to your order or contact your ECONSTEEL consultant to learn more. Diamond Floor plate is sometimes referred to as Tread Plate, Diamond Plate or Anti-Skid Plate. It is distinguished by raised pattern on its surface that forms a diamond shape to inhibit sliding when walking on the surface. ECONSTEEL will plasma, flame-cut or shear to your exact specifications. Ask your ECONSTEEL Consultant about our supply chain management services for your Just in Time manufacturing or construction needs. Application. Diamond floor plate provides enhanced traction and safety for human traffic. Typical applications include in-plant platform and catwalks where weather and drainage is not a factor. Trailer and truck applications, stair treads and ramps. ECONSTEEL stocks 20 and 40’ lengths in diameters ranging from 3/8” to 1-3/8”. We are a D.O.T certified supplier. ECONSTEEL processing services will cut, bend and roll reinforcing bar to your order. Be sure to add these services to your order or ask your ECONSTEEL Consultant. ECON’s extensive experience in concrete construction ensures you’re Mesh and Screen concrete reinforcement needs are met with the best combination of in-stock product and services that will expedite every construction project. ECONSTEEL provides Plasma, and Flame Cutting Equipment to meet customer steel processing needs. Be sure to talk with your ECONSTEEL Consultant to determine which cutting capability will be best for your application, OR be sure to provide your cutting specifications when using our on-line ordering system. 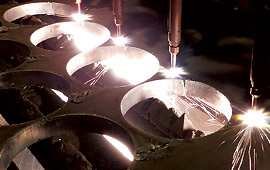 For customers that require a higher degree of accuracy and product integrity plasma cutting services can minimize machining and fabrication production costs. Our plasma cutting equipment includes one MG Plasma Cutting System with HT 2000. Talk with your ECONSTEEL consultant to determine if Plasma Cutting is your best alternative OR be sure to provide your cutting specifications when using our on-line ordering system. ECONSTEEL offers precision CAD controlled flame cutting when precise repetitive or high-volume cuts are required in plate or sheets. Be sure to inquire about our flame cutting capabilities with your ECONSTEEL Consultant to ensure the best value for your production needs. 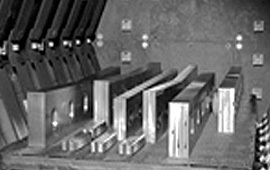 ECONSTEEL offers precise shearing services for plates up to ½” thick and up to 10’ (120”) wide. Our shearing equipment includes: one ½” X 120” Hydraulic Shear with mechanical back stop. Count on ECONSTEEL to provide laser cutting to your specification. We have the ability to provide laser cutting services for all metals including stainless. We use 3-D and 2-D lasers that will cut steel up to ¾” thick. Our sawing services enable customers to buy lengths that closely approximate their final usage needs; minimizing waste and lowering overall cost. ECONSTEEL will also cut to precise “end-use” lengths as custom orders require. When you needed steel yesterday, our on-demand inventory and ECONSTEEL EXPRESS service ensures your order gets priority. Our Express service will expedite your order and provide “to-your-door” delivery with our delivery trucks within 24-hours of your order anywhere within our primary service area. Be sure to ask your ECONSTEEL Consultant about this premium service. service will expedite your order and provide “to-your-door” delivery with our delivery trucks within 24-hours of your order anywhere within our primary service area. Be sure to ask your ECONSTEEL Consultant about this premium service. It is our goal to provide material that is ready to use. 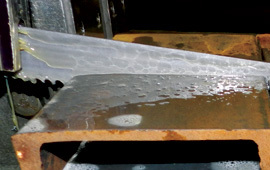 That goal extends to our annealing and quench temper services. If the project requires steel of specific hardness be sure to discuss our heat treating services with your ECONSTEEL Consultant. We will convert our base product to achieve your specific needs within your budget and timeframe. Contractors rely on our extensive experience in concrete construction to provide pre-formed rebar forming and fabrication to expedite on-site construction projects. Our experience ensures rebar is constructed to-spec and delivered when needed. ECONSTEEL will even warehouse your pre-formed rebar components. Our extensive delivery fleet enables just-in-time delivery to the construction site when needed minimizing on-site storage issues during construction.